There are three ways to cook: conduction, convection, and radiation. Outside of the cooking science classroom, radiation is known by a number of other names because of the negative connotations, but whether you are cooking by radiant heat, infrared, or microwave, radiation is the new kid on the block. Increasingly, infrared is becoming the method of choice for a lot of cooks, particularly for the backyard chef using infrared gas grills and burners on the market. Radiation: This is completely different from the other forms of cooking. Radiation is cooking by use of a form of electromagnetic energy that is directed at the food you cook. This can be like cooking in your microwave or by using radiant heat from an electric heating element like in your oven (specifically for broiling) or toaster. Anything that is heated to a high temperature radiates heat, so hot coals in a charcoal grill give off some radiant energy (charcoal cooking is about 25 percent radiant or infrared cooking). Infrared: Infrared (or Infra-Red) has become the big buzz word in outdoor cooking. This all started in 2000 when the patent for the infrared burner expired, releasing this technology to anyone who wanted to build it into a gas grill. Over the last several years, this technology has trickled down to gas grills under $500 and across the spectrum of side burners, sear burners, and anything else you might care to use it for. Now, the infrared burner is being called the microwave of the outdoor kitchen and credited with salvaging the gas grill industry. But will infrared and make you a better cook? There are a number of infrared burners and grills on the market using a wide range of technology. TEC, the original inventor of the technology, has developed a type of infrared burner that emits 100 percent infrared energy. This completely encased burner puts a gas burner under several layers of stainless steel emitters to stop all airflow (convection) and produce only radiant heat. Other, older style burners use ceramic tiles to emit the radiant energy but still produce hot air so they cook at about 50 percent infrared. Char-Broil had determined that they can put a gas burner under a metal barrier and isolate the flame from the cooking area to produce an infrared grill. This style of grill has actually existed for decades in the form of grills like The Holland Grill. The truth is that there are dozens of grills on the market like this. These grills work by heating up a large metal box that you cook in, similar to your oven but with a cooking grate and lid. The one basic and most important fact about infrared grills and burners is that they generate much higher temperatures than normal grills and can heat up much faster. It isn’t uncommon to hear that these grills can reach surface cooking temperatures well over 700 degrees F/370 degrees C in as little as 7 minutes. Pretty impressive, but what does this do for you? Infrared grill makers promise that these units sear meats quickly, lock in juices, and cook faster than any other grill. The problem with these claims is that searing doesn’t work that way. Searing does not lock in juices—it causes browning and caramelization on the surface of meats. This process of browning called the Maillard reaction happens at temperatures between 300 and 500 degrees F/150 to 260 degrees C. So what this leaves us with is that infrared cooks faster. That is something you can not argue with. It is this fast and hot cooking that is infrared grills' greatest advantage. As stated before, browning and caramelization occur at temperatures below 500 degrees F/260 degrees C. Burning and charring, which can create cancer-causing substances, occurs quickly at temperatures above this point. When cooking on infrared, it's very important to keep a close eye on foods. Since your cooking time is reduced, you can burn meats very quickly. Burnt food always presents a cancer risk and needs to be avoided at all costs. Infrared promises a kind of outdoor cooking that gives you a lot of power. With practice, you can use this power to grill some great meals. 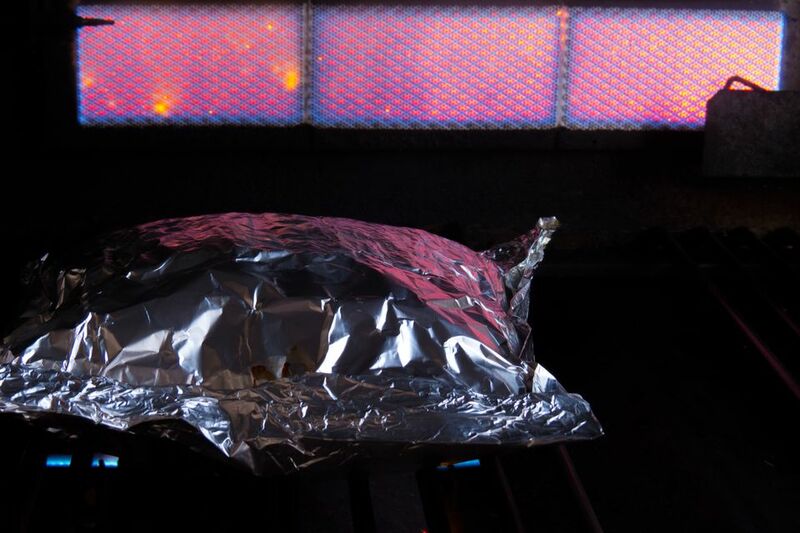 It isn’t hard to master infrared; after all, every grill produces some infrared heat. Infrared burners and grills simply produce a lot more of it so that they can produce higher temperatures. So if you choose to go infrared, make sure you get the configuration you want and don’t be intimidated by the technology—most of us already have infrared cooking devices in our houses called toasters.